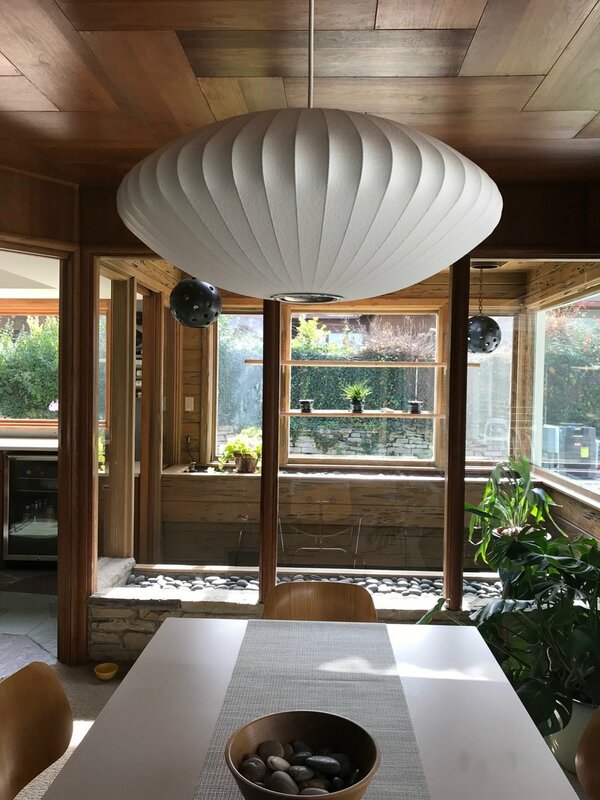 George Nelson Bubble Lamp in the Dining Area of this Modern Alexander McColl Home. Alexander McColl designed this home, located on Meadowfield NE on the edge of Kent Country Club, for Mr. & Mrs. C.B. DeKorne. He filled it with mahogany paneling, a cut-stone fireplace wall, glass window wall and glass enclosed greenhouse and created a window wall to overlook the beautiful grounds of Kent County Club.